CHECK US OUT AT ARTISTS & FLEAS IN WILLIAMSBURG, BROOKLYN (ADDRESS BELOW) ON SATURDAY, APRIL 12 FROM 12p-8p...COME OUT AND SUPPORT YOUR FAVORITE BAKERS. 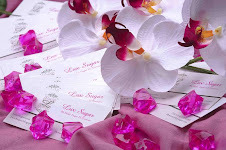 WE LOOK FORWARD TO SEEING U...COME SUGAR-HUNGRY!!!! 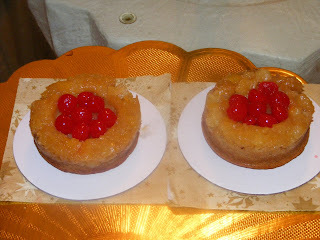 Tashia bought in her infamous mini- pineapple upside down cakes (pic attached above) for the people at work today. They are our un-official guinea pigs...and trust me they don't mind. We will have the outcome later in the day for you on their votes. We are trying new ventures and expanding so look out for our new website coming to your computer screen really really soon! In the meantime check out our myspace page and become our friend while we continue to make ourselves known. Shari and Tashia...our resident bakers are trying out new desserts this week to bring into work for the weekly sample tryout (we love our co-workers)! So far it looks like everyone is loving the b. pitt vanilla buttercream cupcakes, the a. jolie apple crusted cupcakes, the toffee crusted cheesecake, the chocolate choco-chip brownies, and the orange-cicle cream cake. We'll let you know how the other desserts go this week. Also Heidi has found some new places for Lux to showcase their fabulous desserts...so stay tuned to find out where you should go (keep your fingers crossed). 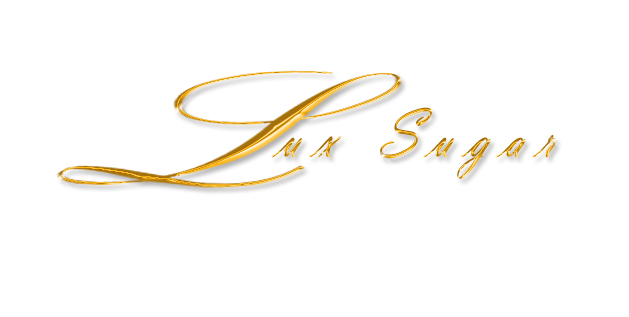 Thanks to everyone for their continued support as we turn LuxSugar into something HUGE!! !